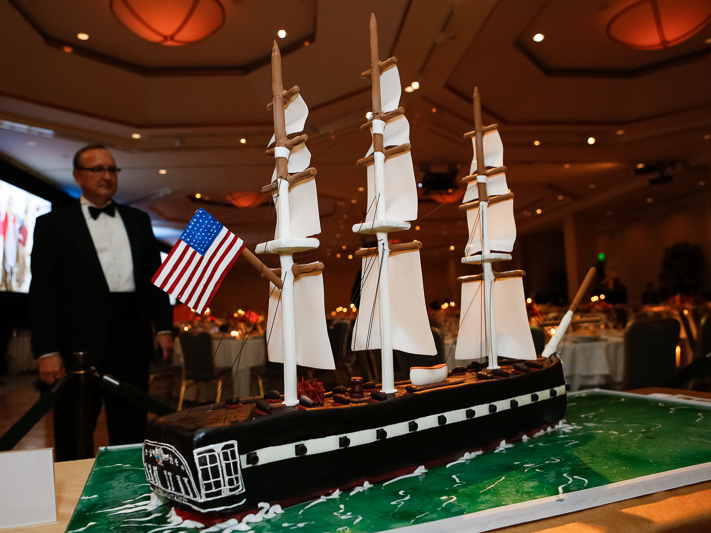 Happy 215th Birthday Old Ironsides! 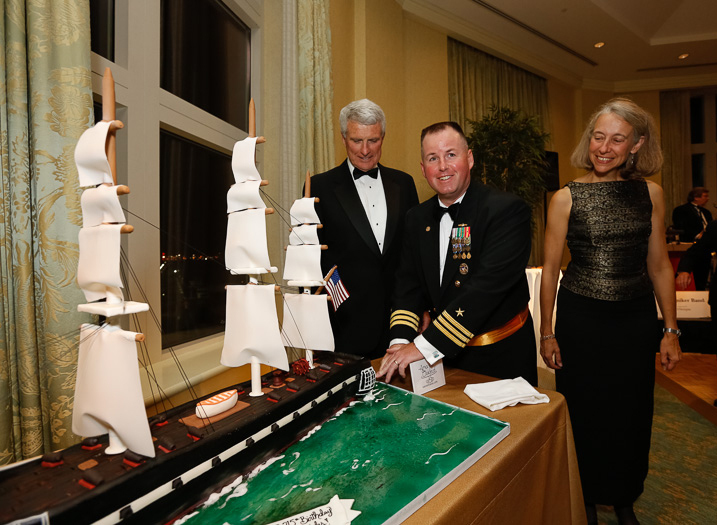 Last weekend we were honored to create a cake for the USS Constitution having it’s 215th birthday celebration in Boston. The Constitution is the world’s oldest commissioned naval vessel afloat. It is most famous for the War of 1812 where it earned the nickname “Old Ironsides” after enemy fire bounced off the wooden hull of the ship. Old Ironsides currently docks in Charlestown Navy Yard and her crew give education tours weekly. 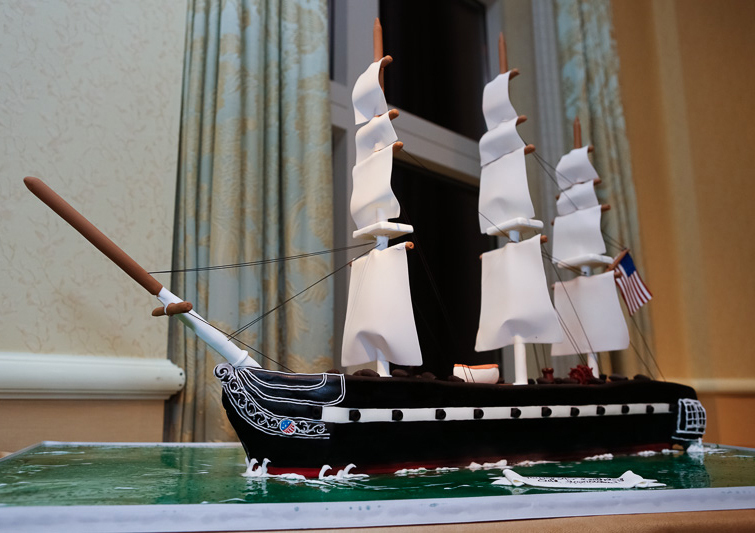 We have visited the ship a couple times and taken tours of the inner levels and decks so it was really an honor and a privilege to be asked by the USS Constitution Museum to recreate their prized ship in cake and sugar. 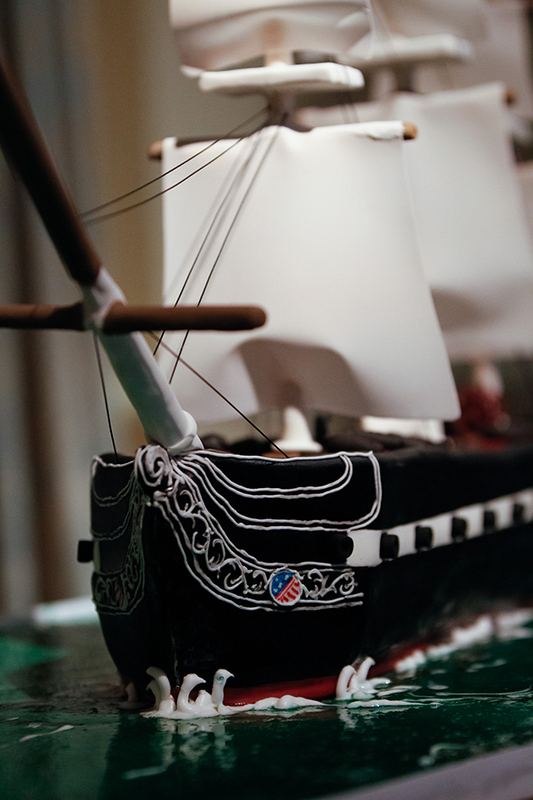 Her sails are made of edible sugar paper and the waters of Boston harbor represented by piping gel and royal icing. A view of the stern of the ship which houses the captain’s quarters. On the gun deck are a mere 18 cannons made of fondant, compared to the 30 that were originally on the ship. Here’s a close up of the ornate woodwork at the ships bow. Old Ironsides captain, CDR Matthew Bonner, making the first cut. The Constitution is just one of the reasons to have great pride in our city! Oakleaf Cakes is another. Bravo on a beautiful, no stunning, cake! Looks amazing. You must be so proud.